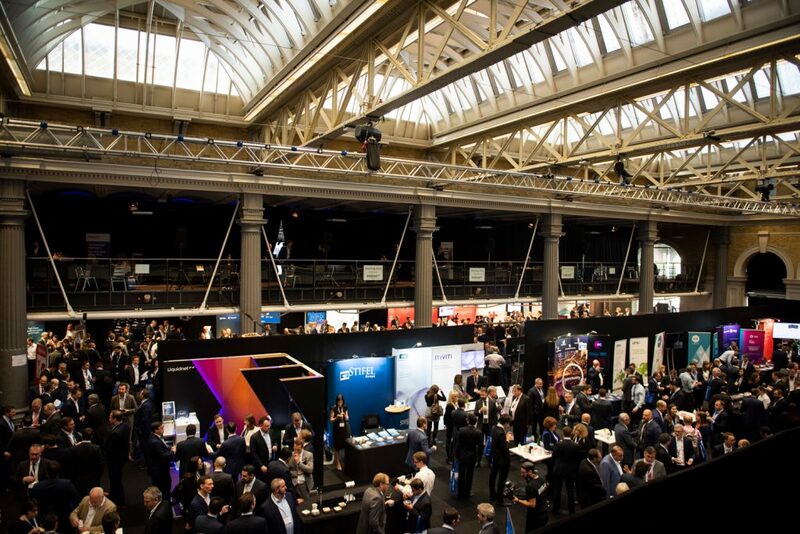 White Light recently supplied the complete technical solutions for the EMEA Trading Conference at Old Billingsgate. This marks the 11th consecutive year in which the company has been asked to work on the event. 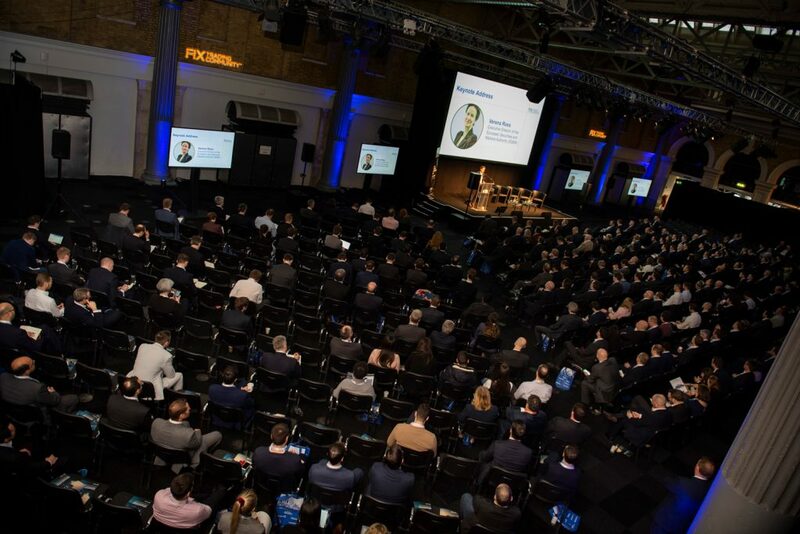 The EMEA Trading Conference is one of Europe’s largest one-day electronic trading events. 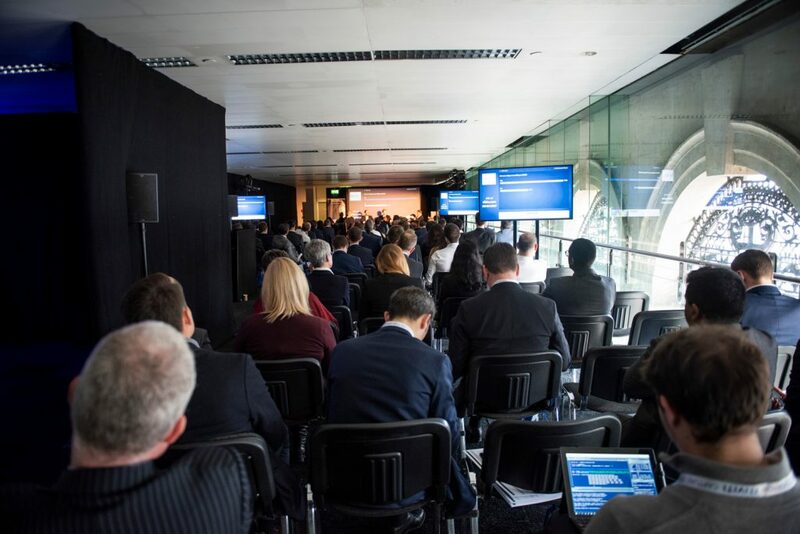 It covers the most pressing issues facing the institutional trading community and provides a neutral platform for attendees to share ideas on how their community can continue to collaborate. It is organised by FIX Trading Community who have a close working relationship with WL. WL’s Project Manager Jason Larcombe comments: “We have worked with FIX Trading Community for over a decade now, having been able to deliver their technical requirements year on year. Having developed a close working relationship, we have an understanding as to what they need to achieve and ensure our technical support makes this happen. As an organisation which annually invests £3million in new equipment, this means that FIX Trading Community are able to draw on our extensive resources; which they did this year. Jason adds: “We met with the client three months prior to the event to discuss their vision and how we can bring this to life. It’s our role to design the exact technical system they need and to manage this throughout the conference; giving them complete peace of mind”. The Conference featured exhibitions, presentations and key note speakers spread across the main plenary, exhibition hall and three breakout spaces. Similar to last year, WL provided the audio, lighting, staging and video. This included drawing on the company’s new d&b E8 loudspeakers alongside its Shure Axient stock. Due to the sheer number of presentations, WL had to utilise 36 ways of radio microphones, with the company’s dpa microphones proving to be the perfect solution. WL also supplied the powerful Christie Boxer 4K30 Projectors for the main presentations, alongside over 25 screens which relayed content throughout the venue. Alongside this, WL also managed the exhibition services which included power, screens and even laptops. Jason comments: “For many conferences, managing exhibition services is not something expected from a technical supplier. However, as we have the resources to offer this and have done so on other events, it made sense to do it once again on this occasion”. As the EMEA Trading Conference is a one-day event, this meant that WL also had only one day to install the technical set-up, as well as one evening to de-rig everything. Jason concludes: “The EMEA Trading Conference is a great example of what we are able to offer as a company. Firstly, it highlights our ability to collaborate closely with a high-profile client over a sustained period and constantly delivered what they require. Secondly, it shows how we can deliver a large-scale conference in a bespoke location with limited set-up time. Both of these are due to our expert staff, wide range of resources and technical knowledge”. Photos courtesy of Elli Dean Photography.